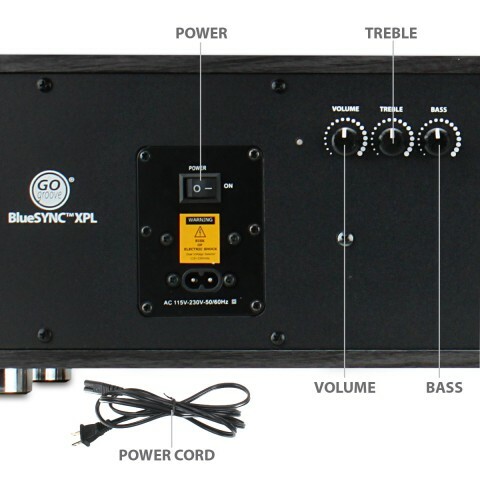 The BlueSYNC XPL is the perfect speaker for your home entertainment needs. 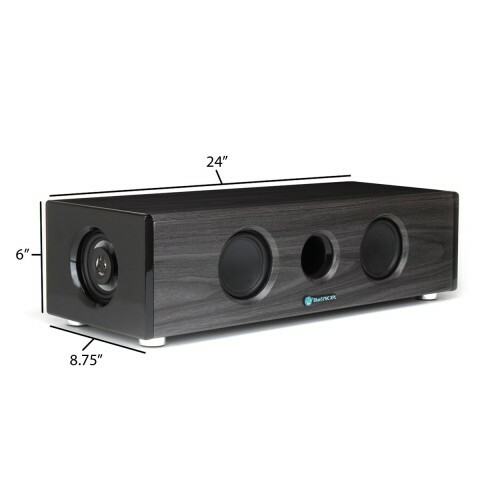 With its sleek wood design, 3-way high definition sound and Bluetooth capabilities, this speaker system will bring alive any room. Simply connect your Bluetooth device or plug in the included 3.5mm AUX cord, and you will be listening to clear, crisp sound in no time. 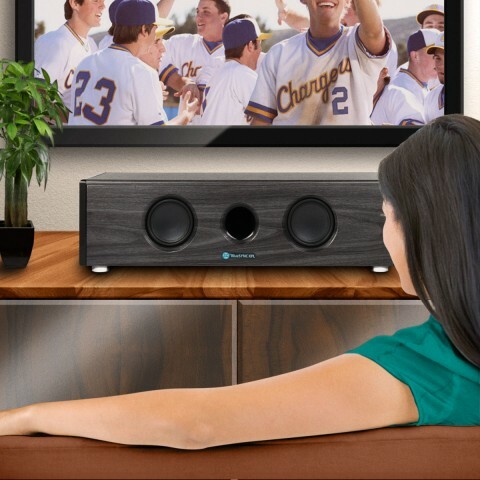 The BlueSYNC XPL is the perfect addition to any home entertainment setup. 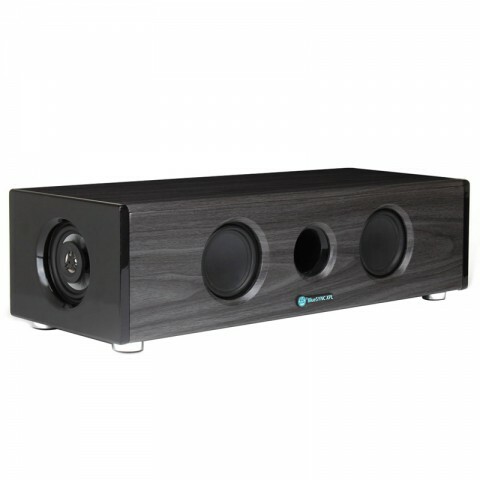 The speaker features 3-way high-definition sound giving your movie, music, and other media a wide array of clear, natural sound. Enjoy the front facing low range speakers and bass port mixing with the mid range speaker and integrated tweeter for high range sounds. Adjust harmonics with the volume, treble and bass equalizers. 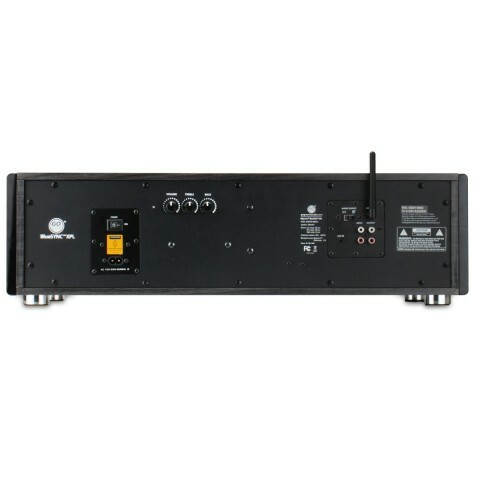 Use the RCA to RCA cable to integrate with your television and convert this speaker into a home theater system. 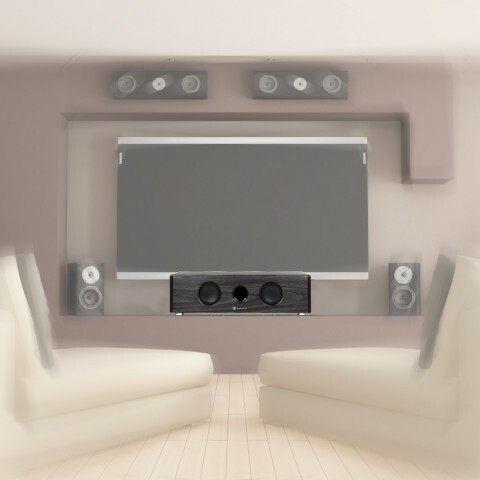 The 3.5mm to RCA cable allows you to integrate with an additional surround sound system for an extra audio boost. 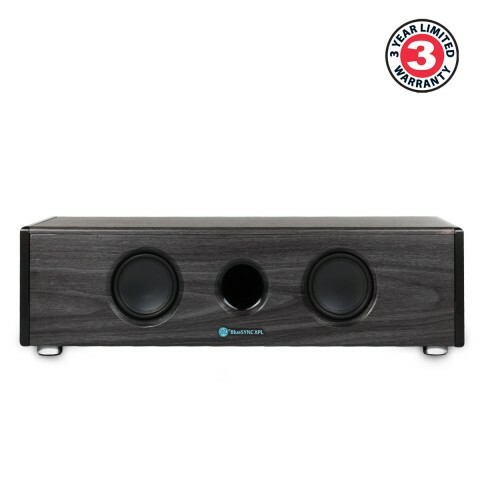 Pair this speaker with your Bluetooth enabled smart TV for enhanced sound with your favorite streaming applications like Netflix and Pandora. 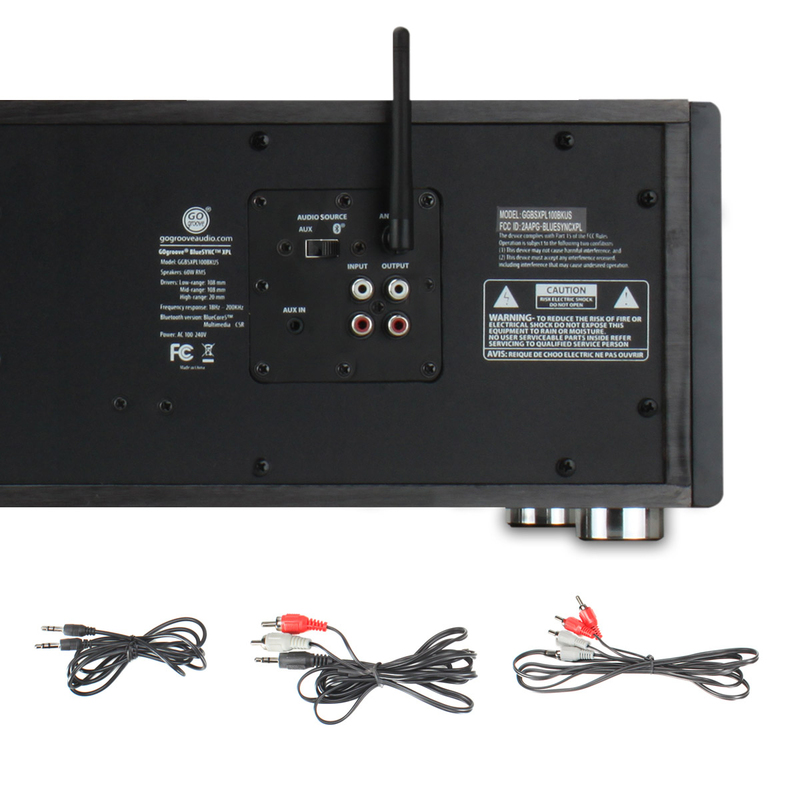 Use the antenna to extend Bluetooth range an additional 30ft. You can also connect wirelessly with tablets, desktops, smartphones, and laptops.